A round foil balloon measuring approximately 18 inches. 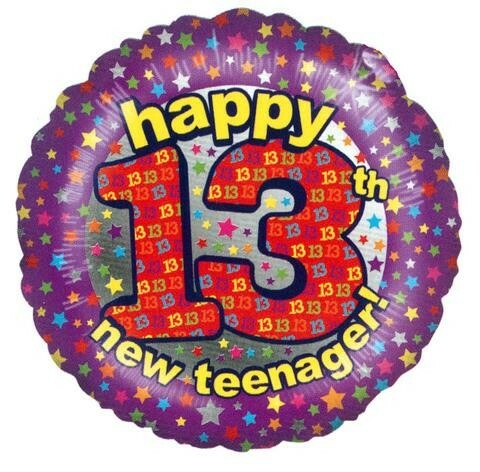 A brightly coloured 13 and mini star design on a purple and silver background with the words Happy 13th new teenager. Will make a great gift on its own or use with other balloons for a balloon bouquet or venue decoration. A helium fill balloon that can also be air filled and suspended.